I never quite hopped on the Colourpop bandwagon. I liked the idea of on-trend, inexpensive makeup (who doesn't), but my first order from them left me feeling a bit underwhelmed. The packaging was flimsy, which I expected, and the Super Shock Eyeshadows were quite glittery, which I didn't. (And totally my own fault, for not carefully reading the actual copy on the website.) At least I wasn't charged customs and taxes, like a lot of Canadian orders are. After that, I was tempted to re-order when they finally came out with their pressed eyeshadow palettes. When kept coming out with more, banking heavily on the FOMO inspired by constant stocking issues and the trend-driven, five-minute attention span of current consumerism, I was a little put off. Then they announced they were developing a partnership with Sephora, for a limited series of items. Despite the initial head-scratcher of pairing a budget brand with a high-end powerhouse retailer, I was all for it. 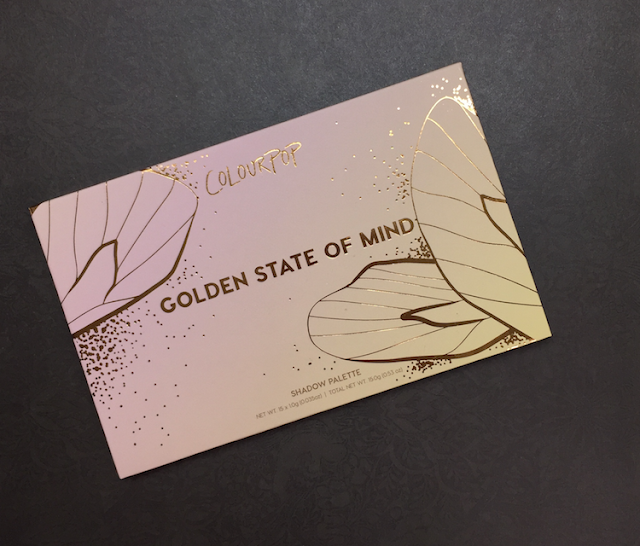 It would be good exposure for Colourpop, and it would serve as a gateway brand to bring in a younger and thriftier clientele to Sephora. From a customer perspective, it would also be a hassle-free purchasing experience, including the possibility of returns. On to the actual item I ordered: the Golden State of Mind Eyeshadow Palette. The packaging is adorable. I'm really entranced by nice exteriors, I'll admit, so that's actually a big factor for me. It's cardboard, yes, but it doesn't feel especially lightweight or cheap, and the design is really pretty. The eyeshadows themselves look gorgeous. They are very metallic, with a few odd duochromes. They all have glitter, some more than others. 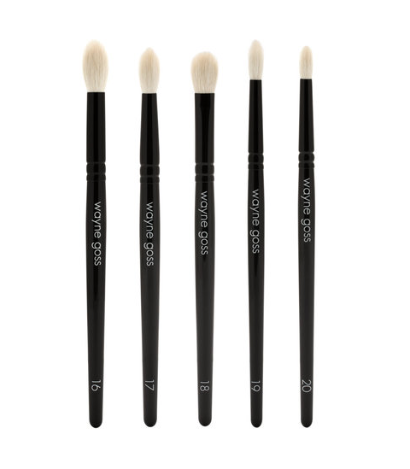 The texture varies between thick and crumbly (like the silver shade in the top row), and very smooth and creamy. They are also absolutely useless applied dry. The fallout is laughably uncontrollable. I had to bust out my stickiest primer and a glycerine spray, and they were admittedly stunning applied like that: foiled, metallic, reflective beauties. They unfortunately did not last on my eyes, creasing and fading within 5 or so hours. And there was STILL freaking glitter fallout at the end of it. 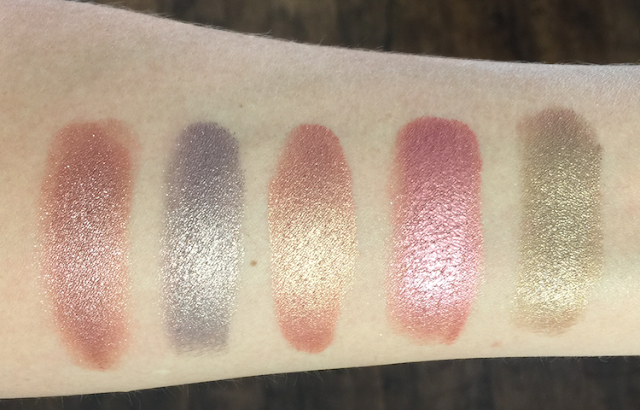 But they ARE some of the most beautiful eyeshadows I've ever used. 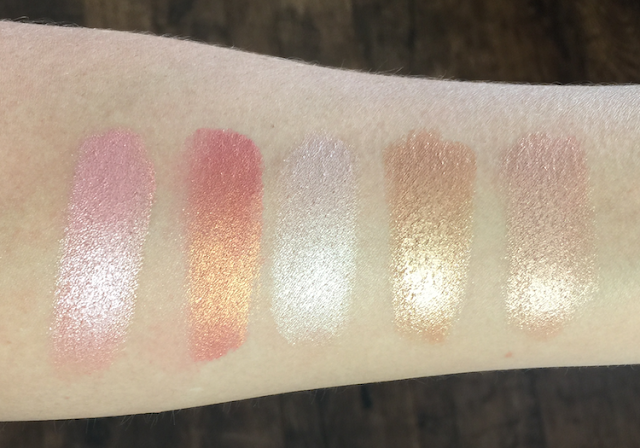 These swatches were done after spraying with Smashbox Primer water, because that's honestly the only way I'd suggest wearing them. - Really, really love glitter. Like, you long for the 90s, when we would literally roll ourselves in glitter from a tube. - You're willing to put some work into applying these. - You're going out for a few hours and long wear isn't an issue. 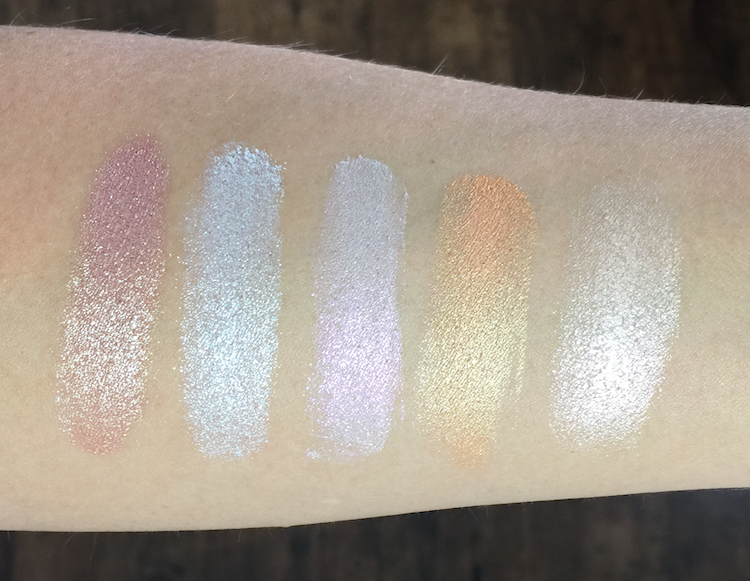 - You're going somewhere where the lighting will flatter the dimensional shimmer on your eyelids (daylight isn't actually the best, flattening the sparkle). - You don't mind paying 33$ CAD for all this. Personally, I'm taking advantage of that Sephora return policy. 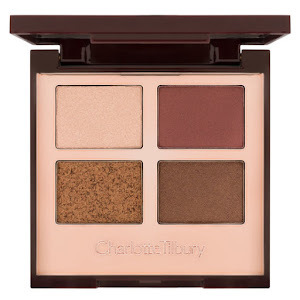 Specs: 15 x 0.98g for 26$ USD - 33$ CAD (compared to, say, the Yes Please palette, which is 12 x 0.85g for 16$ USD - 20$ CAD). 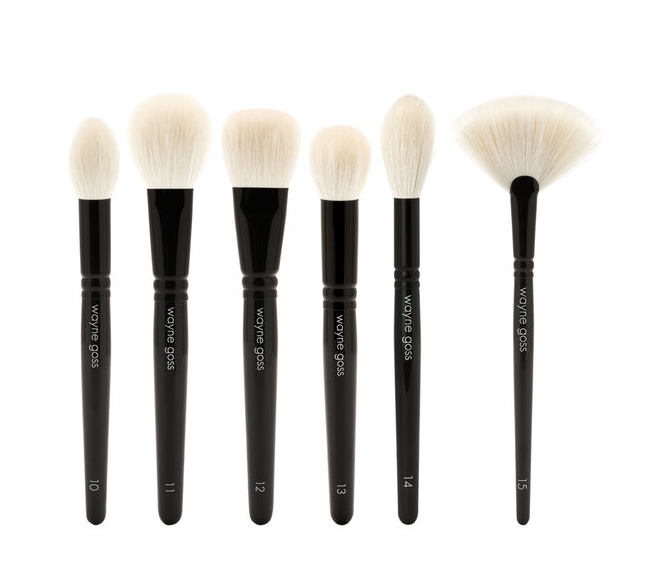 Availability: Sephora.com, and a few in-store locations in the US and Canada. 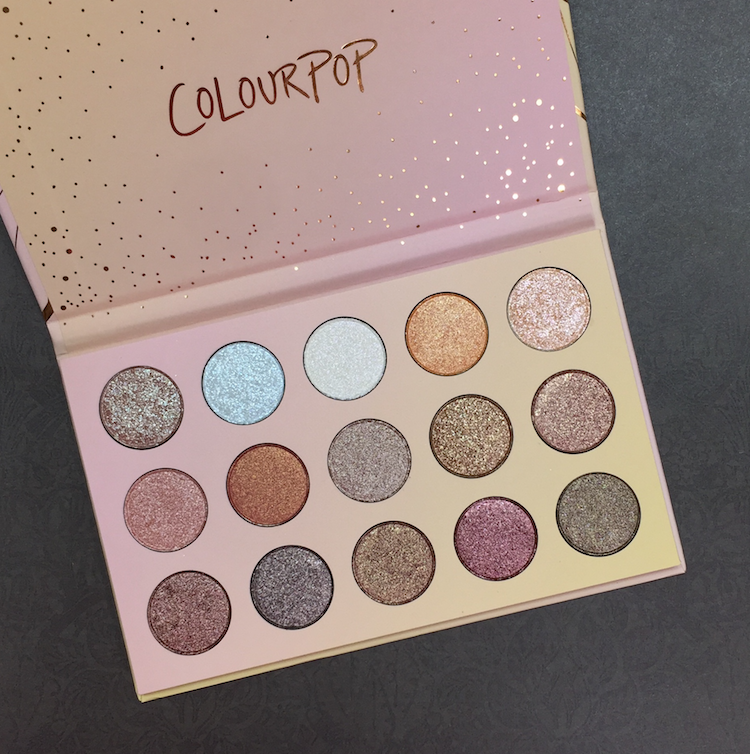 Also now at www.colourpop.com.